This extra income can be a welcome benefit for families struggling to provide eldercare for loved ones at home. 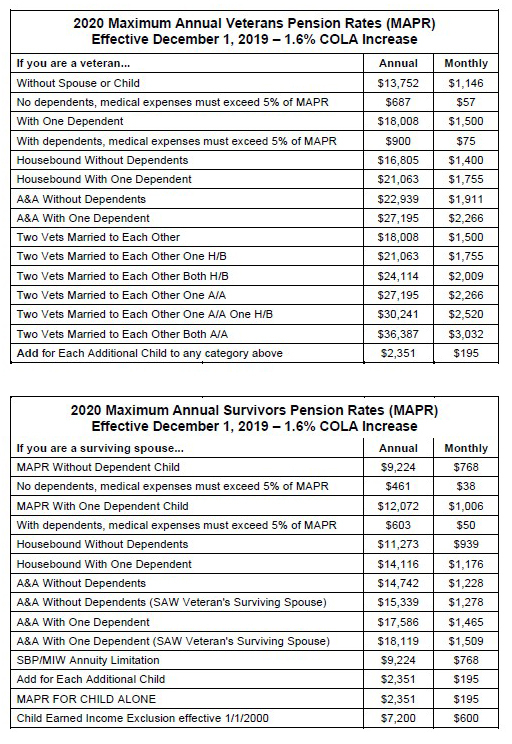 Under the right circumstances, this annualized medical expense for the cost of family members, friends or any other person providing care, could create an additional household income of up to $1,209 a month for a single surviving spouse of a veteran, up to $1,881 a month for a single veteran or up to $2,230 a month for a couple. After five months, VA awards Carla $1,209 a month in additional Pension income. Her total income is now $2,376 a month. VA also awards a total of four months of benefit, payable retroactively to the first day of the month following the month in which the application was received in the regional office.